Our Convert Dog Harness is the most versatile Dog Harness on the market and you can take it just about ANYWHERE! Just clip it on and you and your furry companion are ready to go. The EzyDog Convert dog harness is built to last - it is super durable, strong and also soft on your dog. If your dog loves the outdoors and does not want to be limited in anyway by their harness, then this is the perfect solution. Because the load is distributed across the dog's chest and around the sides, it does not pull against the throat like a standard collar does. Durable materials and innovative construction helps to ensure a safe and secure fit. Like all our harnesses, it is finished with a stainless steel D-ring that will not rust and features a soft-touch, magnetic traffic handle for when you need close control of your dog. 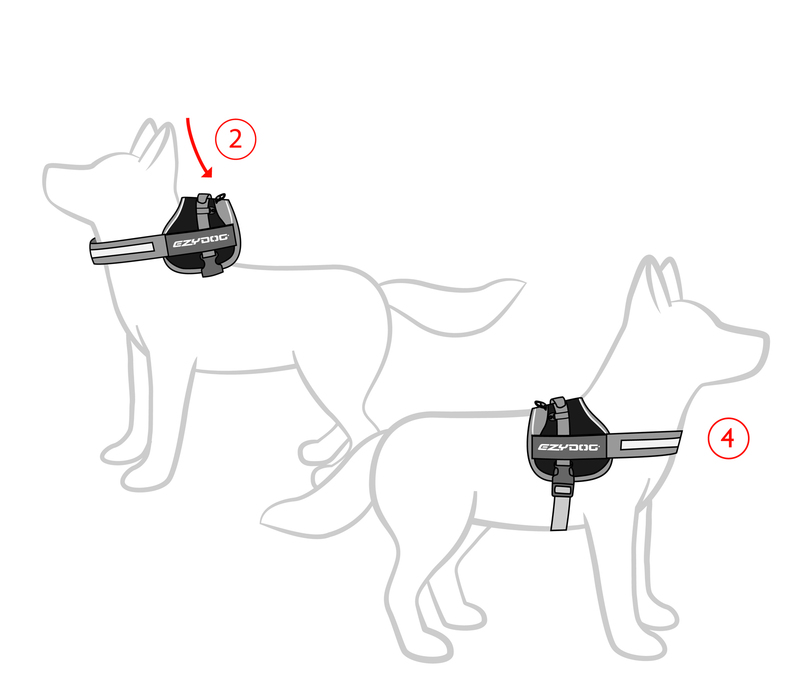 The EzyDog Saddle Bag set transforms your everyday Convert Harness into a handy dog backpack. With its heavy duty construction that is both waterproof and durable, your dog can go anywhere and hold anything. When you want it back as a harness, simply detach the Saddle Bags. To personalize your Convert Harness, we also have a multiple selection of removable side labels. These velcro labels attach on to the side of your Convert Harness to replace the standard EzyDog logo. With over ten designs to choose from, there will be one that is sure to fit your dog's your personality. "Our dog really likes the EzyDog Convert Harness, comfortable and looks cool, too!"